The one-man narrative juggernaut that is former Gentleman of Leisure Tom Neenan aims his multi-character focus onto stories from within the theatrical realm. Specifically, we're here to learn about the myth-laden history of the Vaudeville Theatre where its security guard (armed with snacks and Lucozade) is keeping track of the after-hours inaction deep within its bowels. Weirdly, an entire audience (that's us) have taken root in the building and, being unable to coax us out of the establishment en masse, he entertains the gathered with vaguely spooky and quite silly tales which probably aren't true. As ever, Neenan brings his mercurial acting abilities to the fore as he becomes a ventriloquist's dummy, a firebrand knife-thrower, a vicious theatre critic and even a Shakespearean cat. Splitting the tale into distinct sections, Neenan keeps his crowd lasered on the individual dramas while maintaining one curious eye on the overarching goings-on. 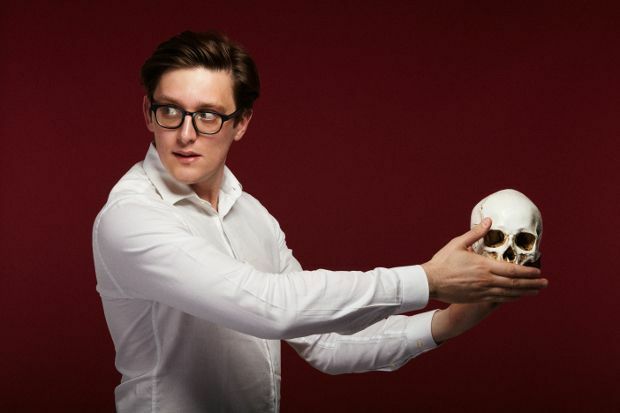 In true portmanteau style, there's a twist or two for the guessing if you set your mind to it, but alternatively there's plenty enjoyment to be had in just sitting back and taking in one man's vision of what a comedy-theatre experience should be at the Fringe. Underbelly Med Quad, until 28 Aug, 4.15pm, £9.50–£10.50 (£8.50–£9.50).